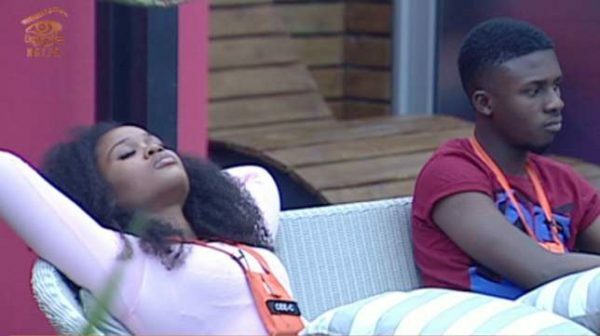 Big brother Naija 3 housemates, Lolu and Cee C have been hit with a double strike from Big brother for breaking the rules, following their clash in the house on Wednesday. This is coming after Cee C injured Lolu in a disagreement. 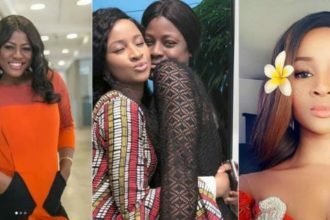 Cee C earlier professed love for Tobi openly when she was supposed to be bonding with her new partner Lolu. 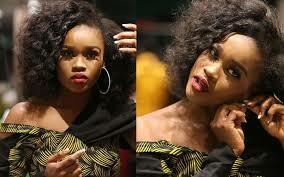 Cee C was also seen kissing Tobi in the store room on Valentine’s day. Big Brother assembled all the housemates on Thursday, and played a clip of what happened between Lolu and Cee C, when they were paired with rope the previous day. Afterwards, he gave his verdict, scolding them for not handling the situation maturedly before giving them double strikes each. One more strike will disqualify both of them from the show. Big Brother further announced that if they both survive eviction on Sunday, they will officially become pairs throughout their stay on the show. This is really double wahala, how is Cee C supposed to remain with Lolu when she is obviously in love with Tobi? A lot of viewers have called for her eviction for treating Lolu the way she did.